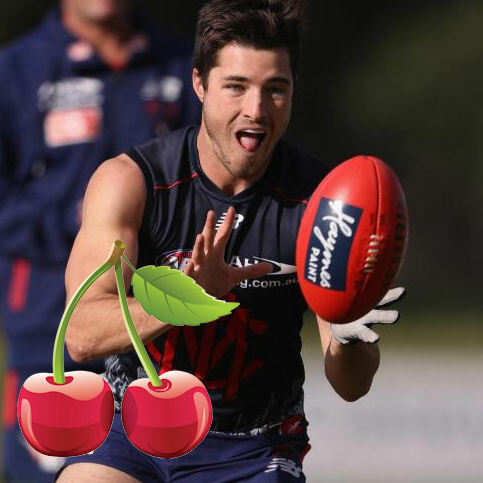 Sparksy’s first Ripe for the Picking has a big group of players with some impressive numbers. Last Monday marked the completion of 4 rounds of football this season and this means you all get your first instalment of Ripe for the Picking this year! I know, exciting, right? There is always an insane amount of value around the league and it has become incredibly important this year with a lack of playing rookies or a bunch of “under-performing” rookies (I don’t think they’re under-performing, just that we’ve become too accustomed to insanely high scoring rookies). If you jumped on Marc Murphy, WHE or ANB at the start of the season you’ve been truly kissed to start with, but that’s what the mid-price game is all about; a little bit o’ knowledge, little bit o’ luck. So, without further ado, I present to you the value picks after Round 4. A week early on the great man so wait and see what he does against the Power on Friday night but he has every chance of making that breakeven, maybe even with ease! Kade has become the Docherty of this year. Last year I preached about Docherty and his consistency however his ownership always stayed incredibly low making him my favourite PoD. I still maintain that your team isn’t Fantasy relevant if you don’t have Doch sitting in your backline. People this year have worked out how to build a Fantasy squad and Docherty has almost 23% ownership but his mate Simpo has dropped to 9.96% and I do understand the concern over him. Most people have Caleb Marchbank in their Defence (if you don’t, unlucky) and everybody needs to have Docherty which means having Simpson as well would give you three Carlton defenders and Kade was clearly the weakest link out of the three, with Docherty being ultra-consistent and Marchbank probably shaping up as the #2 cash cow of the year. What these people don’t understand is that they don’t stop each other scoring well. Simpson’s price is so low due to his Round 2 score of 53. Now I didn’t watch the game so I don’t know what went wrong but around that 53 Kade has scored 126, 90 and 97 which is better than most Defenders so far. Also, his next four games are against Port, Sydney, Collingwood and St. Kilda which is a fairly Fantasy-friendly run! I’ll be aiming to bring him in next week IF I don’t get Roberton this week and it’s currently looking like he’ll be a PoD for me so maybe you guys should consider him too? Fallen premos are the least risky value picks and he’s lost $50k in value, not getting much cheaper than that. He was my pick of the year that I didn’t end up going with because he wasn’t named for Round 1 and boy am I mad at Clarko for giving him that first week off. Burto looks like one for the future for the Hawks, he’s been composed and skilful in the backline and not only does he not look out of place, he looks like a leader down there. His intercept marking and defensive pressure is his cornerstone, averaging around 5 marks and 4 tackles a game and his job security is solid, bar an injury or catastrophic drop in form his spot is locked in the team, the only worry I have about his scoring is the fact that Hawthorn are nothing short of deplorable this season and that doesn’t look like changing. His value is of concern, having already made $101k he has lost a bit of his punch but you can rely on him for 70+ most weeks and going Heater to Burton would make you over $160k (although that would be a wild move). Therefore, this value concern makes an upgrade to him (e.g. Hampton to Burton) not viable but does make him a great downgrade target if you need money to use elsewhere. I love his game, Fantasy and otherwise, but I’ve missed the boat on him this season and it is my biggest regret with my team, hopefully I can pick him up as a premo in two season’s time! After starting the season with a HUGE variety of mid-priced MIDS we’ve run out of a bit of value in the pure midfield section. There’s plenty higher up but I believed we’ve missed the boat on somebody like Marc Murphy ($632,000 Avg. 133.3 BE 60) or even a Clayton Oliver ($557,000 Avg. 116.8 BE 61). One big thing I can say is Patrick Dangerfield ($696,000 Avg. 116.8 BE 134) or Zach Merrett ($710,000 Avg. 125 BE 116) have probably had their lowest scores for the year recently (oink!) and won’t get a lot cheaper. If you’re planning on getting on board, especially with Dangerfield, you may as well do it now as he’s below $700k and that measly 93 will only be in his BE for the next three weeks. However, there are still great midfield options that are a bit cheaper who could end up being a Top 8 midfielder by years’ end. “The $9 Million Man”. Yes, that’s right, the future Roo should have been on everybody’s Wanted list ever since he got drafted. The boy oozes class, talent and even more potential than most footballers in the game and I have him pegged for a Brownlow at some point during his career if he doesn’t take the massive contract being offered to him. Anyway, to his current form, it’s a thing of beauty. Flying way under the radar because people don’t understand what he’s capable of, he has a last 3 average of roughly 29 disposals, 4 marks, 6 tackles and 117 Fantasy points. I started him in my RDT but not Fantasy and I really wish I had the cash to do both because this sort of output gets me excited. Not only is he a gun but his draw includes Sydney, St. Kilda and Collingwood in 3 of his next 4 matches *Coaches salivate simultaneously*. Even better than that is his 3.53% ownership! That’s right, less than 5000 coaches own a bloke averaging almost 110 over the whole season and priced below $600k. I’m doing my best to bring in Rockliff or Marc Murphy this week meaning I’ll have to pass on Kelly but there’s every chance I could just bring in this legend and bank a bit of cash. Just think, he’s worth $9,000,000 and you’re getting him for $577k, that’s a bargain if ever I saw one! He is the sole reason for my Ultimate Footy team struggling in the first four rounds. Picked up with my first pick I needed a captain for years to come and two seasons in he’s forgotten how to play football. With his current form, I wouldn’t touch him with a 10-foot pole. It’s not as bad as his Round 1 49 but he has scored two 79’s in his last three matches and it’s difficult to work out what the go is with these Sydney Mids but my theory is that Titchell was the glue that held their Fantasy games together and now that he’s been shipped off JPK has taught all of them how to have a slow start to the Fantasy season. Seriously though, Hannebery has averaged around the 110 mark for the past two seasons and I honestly think he will be close on that again by season’s end. He’s a stud, he does have one ton already in the past four rounds and I wouldn’t be surprised if he comes right this week against GWS however I’ll be waiting the extra week. His draw after this week looks incredible; Carlton at the G, Brisbane at home, North at Etihad, Saints at Etihad, Hawthorn at home and then his bye. Honestly, with that run home I expect his average to be up above 105 before he has his week off. 4.27% ownership has me very keen on him too and, as much as it pains me to say it, all who own him should not be trading him out. I don’t think it was very clever to start with him in the first place but you’ve most likely got bigger problems and I’m fairly confident old Hanners will be back to himself within a fortnight. Okay, so here’s my time to prove all of you haters wrong. I had Jaeger in every format of the game except Classic as of last week (I had to trade him due to selection carnage, he was the most reasonable way to get to ANB) and to everybody who held the great man I applaud. Yes, he’s handball happy, yes he looks a little bit out of sorts at times but something you’ve got to remember is the bloke hasn’t played a game in two years and is now in a system with a bunch of average players who can’t get a game-plan right and are now 0-4 with a percentage of 56 (that’s my boys!). He will be back this week and he will dominate. He has already had a 36 disposal game this season which is mental, he’s priced below a 60-point average and, despite everybody harping on about how crap he is playing, still has a 70 average which is only going to go up! David Swallow ($415,000 Avg. 85.3 BE 54) has been his direct comparison all year, so much so that most Jaeger-haters would have traded to Swallow after his injury. Swallow pumped out a huge 43 for all those new owners this week in a win against a terrible team and plays Adelaide and Geelong in two of his next three games. Jaeger is all class, in his first two season he had a combined average of just over 90 and he will get back to this toward the end of the season. Unfortunately I won’t be experiencing his rising classic prices but I will enjoy his scores in all the other formats. And anybody who thinks he’s not worth the price-tag, watch him go get 30+ against the Eagles this week. Unfortunately the lack of mid-pricers in the Midfield doesn’t give me a viable “Next 5” without including untouchables such as Chris Masten or Ben Cunnington (yuck), so I don’t really have five other players of value in the midfield. However, you may have noticed I mentioned a few players throughout the segment without doing a full write-up on them. They are good players who could also be in your considerations. My main piece of advice; chase the players who always get it done. Ruckmen are always difficult to pick; generally if they’re not the top 3 in the league they’re not worth looking at. This year has been a huge struggle, if you didn’t start with Grundy and Stef you have suffered severely from inconsistency and it must have hurt your scores. Gawn has gone and most of the value ruckmen we had at the start of the season have peaked or gained too much cash to now bring in. The rookie Preuss has been the biggest success story of the year but a brief summary of mid-priced ruckmen is as follows. Todd Goldstein ($540,000 Avg. 87.33 BE 98) and Sam Jacobs ($526,000 Avg. 96.5 BE 71) have both been on and off. Goldy has clearly been carrying injuries throughout the year and got back to his best last game with a 112 but you have to expect inconsistencies whilst North Melbourne continues with the two ruckmen strategy. Sauce has always been there-abouts whilst not giving owners enough scoring punch nor enough reliability to warrant a selection. He managed his highest score last Round with a 108 (in a 65 point win rucking against Leuenberger no less) but has already had a 65 this season. I don’t mind either of these players as an option, both are capable of fine scores, however they don’t have the consistency nor the ceiling that comes with Grundy or Stef. Our start of the year mid-pricers in Toby Nankervis ($419,000 Avg. 80.5 BE 59), Matthew Kreuzer ($502,000 Avg. 96.75 BE 73), and Jarrod Witts ($429,000 Avg. 89.75 BE 47) have all been about as serviceable as we could have hoped for. The ship has certainly sailed on all of these players however and there’s no point bringing them in now. In fact, Nankervis has probably topped out after gaining owners only $54k and should be looked to move on in the next few weeks. If you started with any of these guys, especially Kreuzer, I applaud you. I didn’t have the balls to do it after having a ruck duo of Kreuzer and Witts all pre-season and that would have saved me so much cash to start the season. Remember though, you’re currently losing a minimum of 19-points in average by having one of these guys instead of Stef or Grundy so you’d probably want to look at finding cash for that upgrade. The one player who does look like value in the ruck for the next three months is Maxy Gawn’s successor Jake Spencer ($292,000 Avg. 77 BE 28). Jake should be getting the solo rucking duties for the Dees for the next 11 or so weeks meaning he’s a viable downgrade option to anybody who wants to make some cash. Unfortunately he doesn’t have forward status and therefore can only be a ruck downgrade which makes it difficult seeing as all of the above options still have at least a week left of decent cash making as does Preuss who would only make you around $20k if you traded him in anyway. Plus, his sole ruck status would mean you’d have to field Spencer. It’s a no from me but, if you are extremely desperate for cash, I guess you could bring him in. The answer is no, it’s not too late. ANB is the real deal this season and he doesn’t need Jordy Lewis or Maxy Gawn to get his stats. I brought him in last week after missing the HUGE price rise in Round 3 thanks to forced rookie trades and boy do I not regret anything. It’s hard to work out where he gets his points as he does a little bit of everything. He has had one game this year with 10 tackles but that accompanied 25 kicks and a goal which gave him his massive 141 in Round 3. Other than that he doesn’t do a whole heap, averaging roughly 15 kicks, 7 handballs, 4 marks, 7 tackles and 2 scoring shots a game. They aren’t spectacular numbers by any means (7 tackles is quite solid) but somehow he gets it done and it gets him Fantasy points. Mr Resourceful has an insane next three coming up, playing Richmond, Essendon and Hawthorn all in Melbourne and he should be well above the $500k mark before he plays Adelaide in Round 8 meaning a minimum $70k cash grab for anybody who hasn’t jumped on already. Seriously, this bloke, WHE, SPP and SPS, I’ve never seen so many hyphens in Fantasy football. Get on board the Neal-Bullen Train. Could you do it…? No, surely not. Well, I couldn’t anyway. Brandon is not featuring in this article so much for his Fantasy Classic relevance as he is for his absurd scoring tendencies needing to be talked about from a statistical point of view. I must admit, I have a huge soft spot for Matera, he’s my guilty pleasure player. He seems like an “interesting” (putting it nicely) bloke on the field and from media portrayal but I love every bit of his arrogance and showmanship, even if up until now he has been an on-again, off-again type player. There’s no denying he’s talented but he’s never managed to string it together. That was until two weeks ago when the Gold Coast Suns dismantled the Hawks. Brandon is currently the highest averaging forward in the competition and at $455k that warrants a huge conversation. How is he scoring like this? Why? Will he be able to keep it up? All are fantastic and relevant questions and I will attempt to answer them for you. His first game was Round 3 against the Hawks and he managed 107 with a stat line of 12 kicks, 7 handballs, 2 tackles, 4 marks, 1 free-for and 6 goals straight. Now remember, GC did beat the Hawks by 86 points so 6 goals is an anomaly, take those away and that becomes a 71 which shows that this score was heavily padded by goals. His Round 4 game however was arguably more impressive having his 138 Fantasy points coming from 22 kicks, 7 handballs, 9 marks, 3 tackles and 3 goals 1. Not only is there a significant amount of difference in the amount of disposals (+10) and marks (+5) but his heat map shows Matera spent the majority of the first half playing much further up the ground, getting disposals from the wing and half-back. Comparing this to Matera’s output last year shows there really isn’t any comparison at all. The only similar stat is his marking category, showing he reached 9 marks once throughout the year, coincidentally the only game he reached the ton with a 105 in a 40-point win against the Saints in Round 15. His highest disposal count in 2016 was 20 (twice) which he has already eclipsed by 9 last round, and his highest goal tally was 3 (twice) which he doubled in Round 3 this year. This all leads me to believe one thing; winning has nothing to do with Matera’s scoring output, his role does. If we get Round 3 Matera who sits forward for most of the day, he needs to kick a bag to score well, very similar to a Tom Lynch or JJK. This is obviously helped by Gold Coast winning which is certainly not going to happen all the time. However, if Rocket Eade decides to give us Round 4 Brandon and play him up the ground, these scores could be much nicer and we could see a lot more of the same. I like this play, Matera is the highest risk with the highest reward as he could potentially average anywhere between 50 and 120 for the rest of the year. I definitely am not man enough to even go near him but the stats show that it is possible for him to be a Top 6 Forward come years’ end and bloody hell I hope he is! Speaking of Top 6 Forwards, this bloke is starting to pencil in his name for end of year honours. That’s right, the Yeo-Yeo has finally strung together a few decent games and his 105 average accompanied by his 7.3% ownership is making him look like a juicy upgrade target for any Forward line to just sit him there and forget about. I must say, his marking average of 9.5 per game is about as impressive as anybody in the game, adding to that his 25 disposal average and you can see why Yeo is becoming a consistent and impressive player worthy of a spot in anybody’s side. I do have three issues with him; his role could change at any moment, he’s burnt us so many times before and he still can’t play at the G posting his only sub-100 score there this year. Good news on all three fronts is his role looks incredibly Fantasy friendly and West Coast are winning so that’s unlikely to change, he seems to have finally found that consistency we all needed from him, and he only has one game left at the G this year and that’s against Hawthorn this weekend. All of that taken into account, if Yeo can get through this week scoring 90+ he will be a genuine upgrade target for me next week and you should all strongly consider him as well, he’s the real deal. So, there you have it Coaches, the first Ripe for the Picking of the season. As you can see, some positions have rather slim pickings but great coaches make do with what we have and pull diamonds from the rough to get themselves those extra few points per $ spent. Any questions at all hit me up in the comments below, I do my best to reply, or chuck me a tweet @SparksyDT and I’ll definitely get back to you. Hope this all helps and happy trading! Thanks Sparky that was an epic article! Also, is there value going with Wellingham over a Kolo or Roberton and saving 50-65k? I like kolo a lot. Wouldn’t touch wellingham tbh and roberton could be a nice unique if he keeps playing the way he is. Wow. Once again someone puts major time into an article and the comments are just needy ‘tell me what to do’ questions from the usual sheep. Seriously, go on the My Team thread ffs. Thought the article was decent although the sentences are a bit long in places which can make it quite difficult to read because if you don’t punctuate effectively it can become really laborious to plough through these massive sentences which are almost paragraphs and break up the flow of the article if you catch my drift. hahahaha great example. While it would be nice if people did get the appreciation they deserve, this sort of thing always happens. Hi guys, what’s the better trad do u think? I did similar.. Roughy to Balic and Nank to Stef (shuffling Cameron to FWD so I could keep Preuss at R3 to make that extra cash)..
I’m REALLY against fielding Preuss, I understand that you’re saving cash but just think about the amount you’ll need to eventually upgrade him at some point, it will most likely be in excess of $200k which is an insane amount to scrounge around for, especially around bye time. How do these mids rank against each other? Who will have the highest average by season’s end (please rank if possible). The mids are Oliver, Josh Kelly and Dylan Shiel. Kelly should be around 106, Shiel about 100 and Oliver… Who knows? Nothing to really suggest he’ll slow down, but wouldn’t have thought he’ll go above Kelly. The three I’ve done a write-up about are in order but in order of value in my opinion, not of average. The ones you have named on average go Kelly, Oliver and Shiel in my opinion. How will Jason Johannison do for the rest of the season? Fantastic write up sparksy, goood to have you back. Who would you pick from Kelly, Roberton, Yeo or Jake Lloyd? Cheers Mate, upgrading from roughy – think it will all depend on what rookies are named! I’m hoping EVW gets named this week actually! Cheers for the pump-up too, it’s great to be back! Ahhh, you’ve got a few birds to kill and only two stones this week. I’d say the first option except you’ll be hard pressed to find a fieldable $150k player. Depending on your backline structure if you don’t have Docherty or Adams they’re must haves and I’d choose #2 if it meant getting one of them! I have the option to have dylan shiel or clyaton oliver in my team for the rest of the year? Who should I take? For a draft league. Clyaton I reckon. Him or Shiel. You’ll be getting much the same, the only difference I can think of is Shiel plays for more of a contender but is more likely to get tagged. Good luck! And a bloody worthy brag at that! I take my metaphorical hat off to you! However Schoey was a big mistake but it sounds like the only one! Nice article as usual SparksyDT. who would you trade from these rookies,Eddy,Miles, Pickett?Do you reckon Miles and Eddy will be coming back??? or do Roughy –>Balic and Hampton–>Doch 13k in bank. i’m in a very similar boat! came to the conclusion that you can probably afford to hold touhy a little longer.. he’s not going to fluctuate in price greatly no, but at least you can probably rely on him to pump out a semi decent score as opposed to some others going around. my plan is to trade him in the upcoming weeks with plenty of cash remaining itb. First question, I’m certainly no Jeppa so don’t quote me on this, but I think you need to hold Pickett for the JS. The other two are really frustrating and that’s the reason I stayed well away from Teia, he’s just not good enough yet to hold his spot. Both are an issue, I’d say both will feature sporadically throughout the season but not consistently unless they find form. Honestly thought Hampton played a schocker, not just Fantasy wise. Adelaide are winning though so I guess that’s a good enough reason not to drop him, clearly! Fantastic team and you have solid cover for Newman unlike me! Well done! Any love for Jake Lloyd? His fantasy game seems pretty unreal and he has been doing all the things I was hoping Mills would do. Surely he could be in your top 5 (8) defenders somewhere?! He was close but two reasons I left him out. Firstly I don’t think he’s that much value anymore, I don’t rate him as quite Top 6 by season’s end and he’s not going to make that much cash. Secondly I fear his output will be impacted a bit by Heeney coming back. Certainly worse options though and he was close. Yeah fair enough… I’ve got him penciled in this week but maybe I’ll look at Roberton. I do tend to chase value too, but a 100+ average should see him top 6 if he can maintain it. They can’t continue to play so badly as a team, but Heeney does add another wrinkle I suppose. I’m waiting for a little blip from the über premos like Doc, as that can easily save $50k plus rather than getting them at their peak. So I think your fallen premos article will be a very important one – keep it up! Thanks mate, they don’t get written every week so keep an eye out for the next one in about four weeks time! Oh, and Doch doesn’t go below 90 so you’ll be waiting a while ;) I do understand though, saving $50k is a huge deal! Who would you go out of roberton or hodge? or is it pointless to go either if you dont have docherty? and should i just save up for him instead? I think Roberton will be a keeper, he is doing a great job for the Saints similar role to Yeo at West Coast. Both of those look to be enjoying their footy. Roberton over Hodge but Docherty should be your number one upgrade target. If you can’t get there this week or next I’d say go Roberton. Trade out Heppell for Murphy or Sloane or should I trade out Fyfe instead of Heppell. Someone please help!!! !